Videos have become the norm in inbound marketing, especially since it's been found that using video in your marketing can increase conversion rates by up to 65%. But it's important to make sure you're creating the right videos and using the right video marketing strategy in order for it to have the biggest impact on your business. How do you do this? Easy! Focus on the Buyer's Journey. The Buyer's Journey is the active research process a buyer goes through leading up to a purchase. It includes the awareness, consideration, and decision stages. 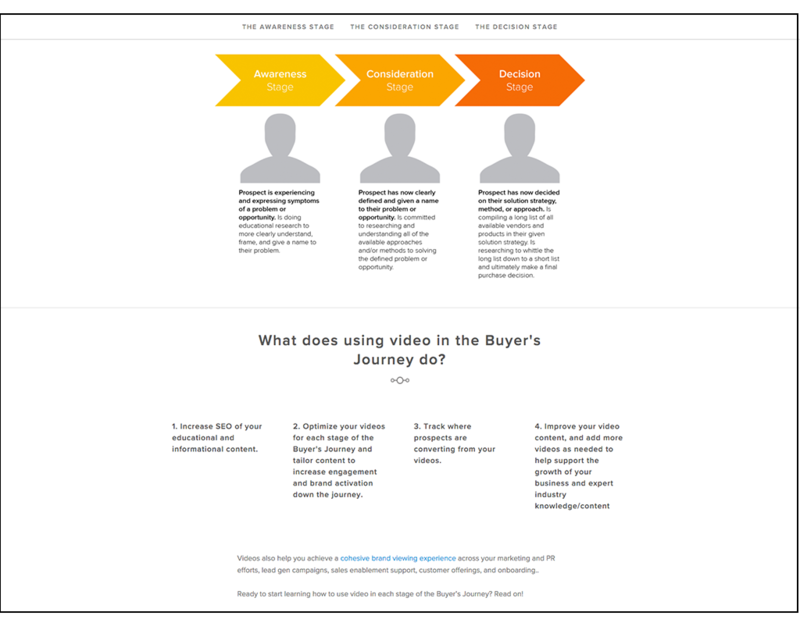 Within each stage, there are several cases for video to bring prospects further along in the journey. 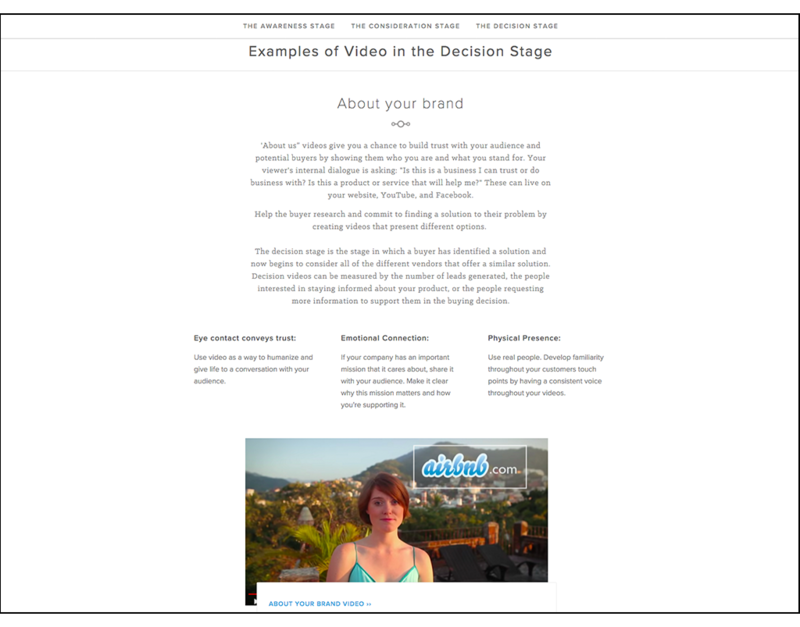 By creating different videos for each stage, they'll resonate more with your customers and achieve higher engagement, brand activation, and trust. 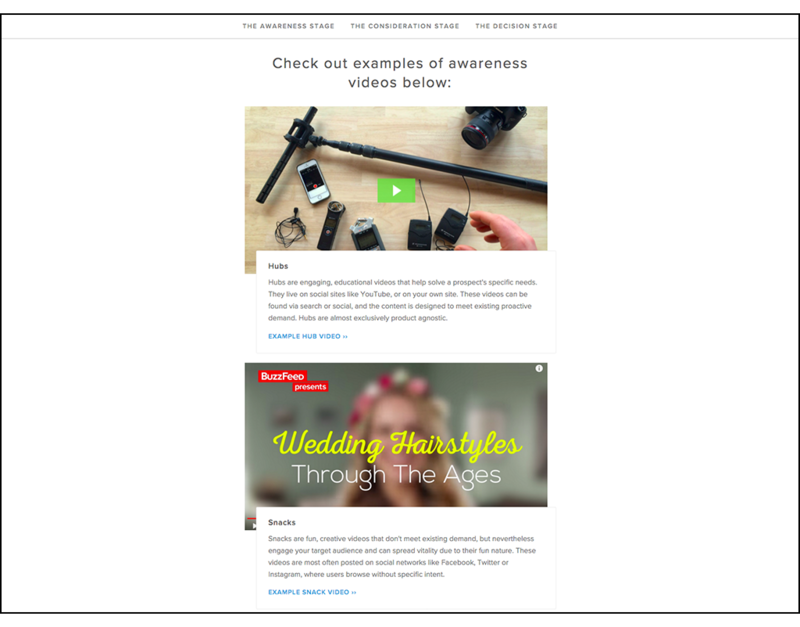 Videos also help you achieve a cohesive brand experience across your marketing and PR efforts, lead gen campaigns, customer offerings, sales enablement support, and onboarding. 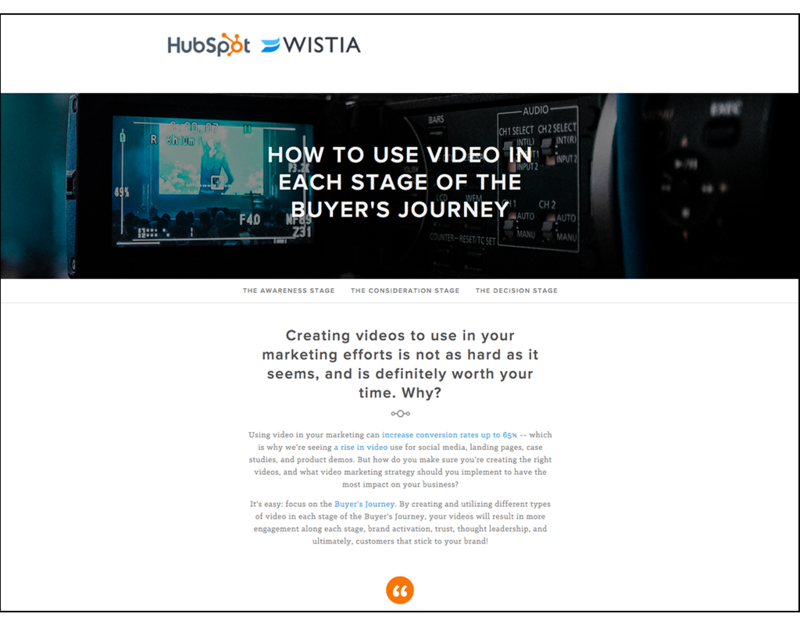 In this interactive guide, you'll learn how to successfully incorporate video into your marketing to increase SEO and engagement, track where prospects are coming from, and ultimately grow your business as a whole. 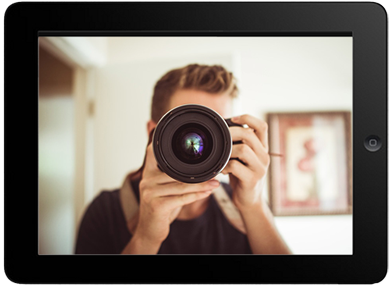 Much more about using video in your marketing to grow your business! By supplying your contact information, you authorize HubSpot and/or Wistia to contact you with further information. 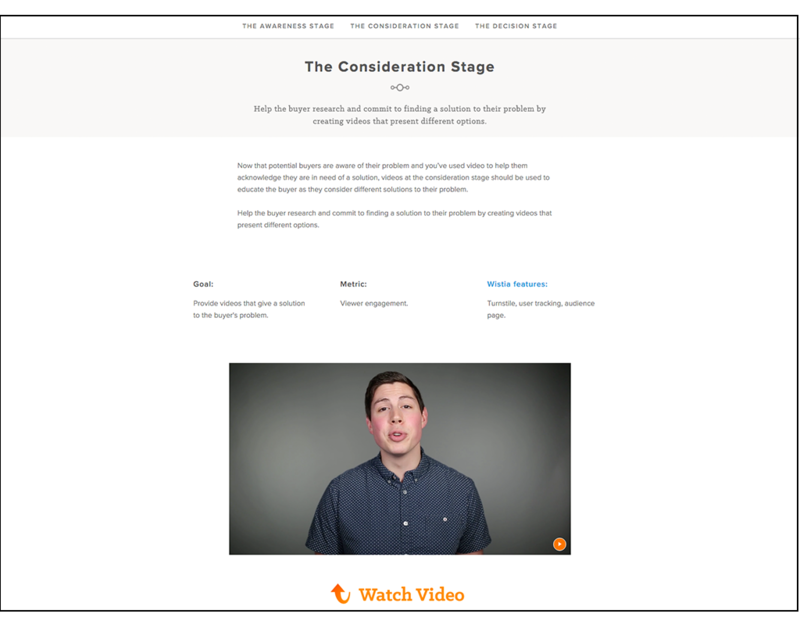 You further authorize HubSpot to pass your information to Wistia for these purposes.